Introducing Wee Pumpkin, the newest addition to our cradle boat fleet! Featuring full size patterns for all parts, a complete construction booklet, and a unique building system that is builder and baby-friendly. 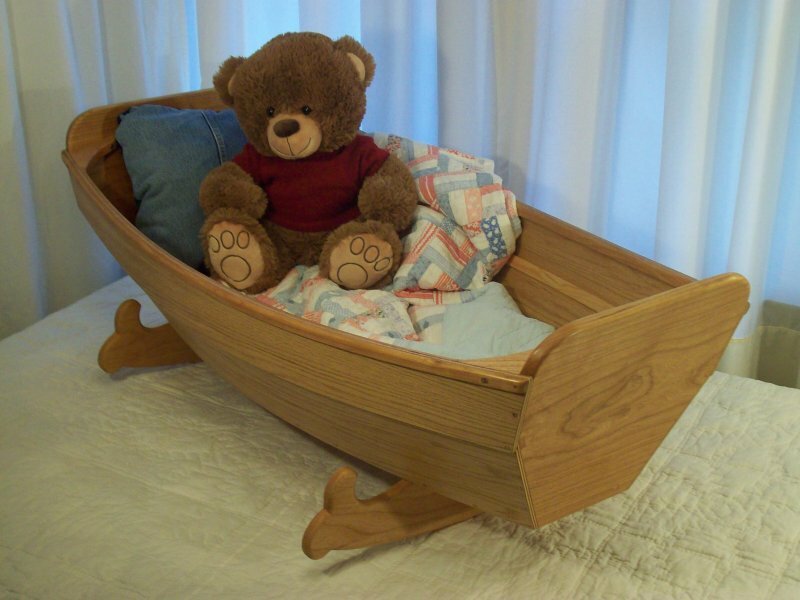 Requiring only about 3 days for construction, this delightful little cradle boat can be finished and ready for the newborn sailor in time for even the strictest of nature’s timelines. 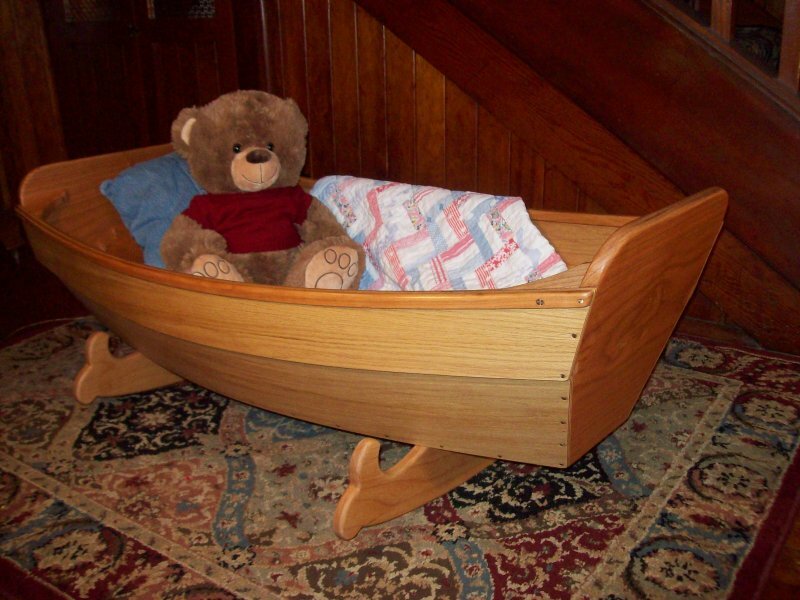 In keeping with our design and construction philosophy, our batten seam lapstrake technique requires no toxic, messy products that we feel have no place around newborns. 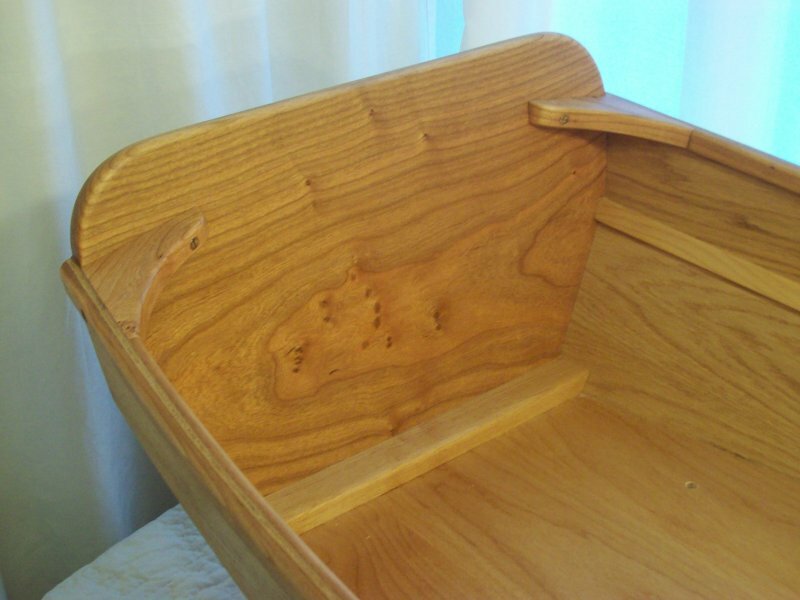 And, as a bonus, our traditional approach to boatbuilding teaches some of the basic joinery techniques of wooden boatbuilding, which adds an especially satisfying feature to the project. Wee Pumpkin’s strikingly handsome hull form is achieved by incorporating sweeping sheer and plank lap lines, dynamic hull curves, and transoms that stand proud above the hull. And, this artful use of curves allows for a perfectly flat bottom for an unobstructed sleeping surface that requires no add-on platform that could cause problems with a newborn. Last, but not least, this feature allows the rocker assembly to be easily removed so, with no additional carpentry, Wee Pumpkin can be used on the floor as a play skiff or for toy storage.